Duty of care is one of the fundamental legal responsibilities of a board director. 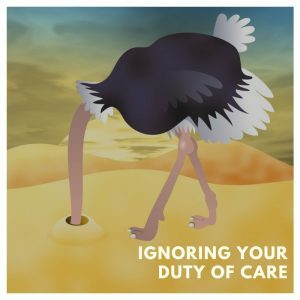 In short, duty of care means that both individual board directors and the board as a whole should pay attention to and care about the organization’s activities and operations. While this seems easy in theory, board directors seem to have a hard time squashing bad behaviour that impacts an institution’s customers, employees, and overall mission of the organization. This month, we’ll examine two organizations and how the inaction of the board put the overall organization in jeopardy. Les Moonves, former Chairman and CEO of CBS Corporation, was forced to resign after it was reported he had engaged in sexual misconduct. What’s striking about this case is that the Board of Directors was aware of these allegations in January 2018 as these allegations were being investigated by the police. However, the board refused to exercise their duty of care, instead refusing to suspend the embattled head of CBS and even discussing a voluntary exit with a $100 million compensation package. Only after a report from Ronan Farrow in August 2018 and a follow up report with additional women coming forward in September 2018 did Moonves finally resign in September 2018. In October 2018, ProPublica reported on charity More Than Me, whose mission is to use “education as a catalyst for transformative social change for every girl in Liberia.” Although the nonprofit was formed to provide education to girls who were formerly sexually exploited, the highest profile employee in Liberia was accused of sexually exploiting several of the students, resulting in pregnancy and the spread of HIV. There is a dispute when the board learned about the allegations from the program director who reported the behavior. The board says they acted swiftly, the program director says there was inaction because it was not clear whether or not abuse occurred on school property. The program director later resigned. At the time of the allegations in 2013, the organization’s founder “nor anyone on her board had experience running schools or safeguarding vulnerable children. The board included Skip Borghese, an Italian prince who marketed cosmetics on the Home Shopping Network; his wife, Katie Borghese, a close friend of Meyler’s, who ran a perfume company; Chidegar “Chid” Liberty, a Liberian-American who left Liberia as an infant but returned in 2009 to start a fair-trade clothing business; and Saul Garlick, an American whose startup organized entrepreneurship experiences in Africa for U.S. students.” More Than Me is still reacting to the fallout from the article. So, what caused these board directors to bury their head in the sand when confronted with information that was damaging to their customers, employees, and organization? Unfortunately, many board are comprised of directors who do not have the training and expertise needed to make decisions for the organizations they serve. Many board directors become directors because a board seat needed to be filled, they were asked by a friend or close colleague, and they didn’t know how to say ‘no’. In the case of More Than Me, their board was made up of people in high profile industries that provided access to fame and capital, while not having experience or understanding about education, Africa, or the social needs of girls impacted by child prostitution. By not upholding their individual and collective duty of care, the board put themselves, the organization, and most importantly, the children they serve, in jeopardy. Remember, duty of care is a legal responsibility of all board directors. Understand what that means to the populations you serve, whether the organization is for-profit or non-profit. Create a policy and educate yourselves on how the board will behave when approached with information that will activate a duty of care response.